The first time you heard the term “white paper,” it was likely in relation to a government or company policy document. In the context of B2B digital marketing, however, a white paper is long-form content aimed at promoting products or services, using selected facts and logical arguments to build the case. Often, white papers require users to register contact details before downloading, which makes them a valuable lead generation tool. Explore a topic of interest to their audience in more detail. The contents of a white paper are meant to be informative, not sales-oriented, and are usually aimed at lead generation during the consideration stage of the buying journey. A 2016 report from DemandGen showed 82% of B2B buyers rely on the data and analysis provided in white papers to guide their purchasing choices. Start by identifying your target customer persona, their problems, and their pain points. Your salespeople can be helpful, so consult with them for the main objections they experience day-to-day. Determine the most valuable aspect of your offering for resolving those pain points, and make that the headline of your white paper. Speaking directly to your audience will get attention right away, prompting them to read further. Cover the issues in the body of your white paper. It should never be specifically about your product, but rather aim to be a useful resource for people with the kind of problems your product solves. For best effect, provide an objective array of possible solutions including your product. This will help build the audience’s trust and avoid the white paper coming off sounding like a marketing ploy. Neil Patel suggests interviewing an industry expert to get their take on the various solutions. Even if the “expert” is one in your own company, this approach will give your white paper more authority. While topic experts are knowledgeable, they often have difficulty providing insights in ways lay audiences can understand, so presenting information in plain language makes it accessible for those who don’t understand technical jargon. Urge readers to act, by including a Call to Action that tells them exactly what the benefit is of doing so. Forget the tired old option to “Get a Free Consultation.” That’s no longer a value offer, because doctors and lawyers are the only people in the world who charge for consultations, anyway. Tell the user how to: get more information, obtain a comprehensive quote, or schedule a demonstration. Proofread your white paper thoroughly, add some compelling images, graphs, and analytics that prove your point, and get a graphic designer to set it up in a way that’s easy to read and refer to. To achieve lead generation, gate the white paper so you can collect users’ information such as contact details and other data before getting access to it. Gating is effective because it gives you intelligence about your audience, their companies, and their designations. 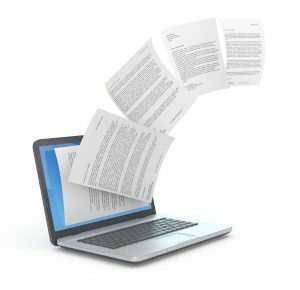 Position your white paper as valuable enough to be worth them giving you the information. Using quality alt- and metadata to enable it to be searchable online, since PDFs are impossible to index. 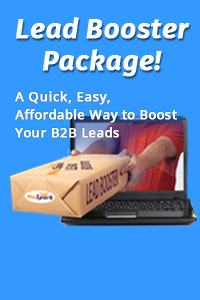 Sponsoring the white paper with Pay-per-Click ads on Google and social media. A white paper emphasizes your value to your targeted audience, while allowing you to include statistics and other types of evidence. For companies specializing in B2B solutions or processes, a white paper enables you to present your points of differentiation, prove your claims, and have the quality lead generation you need to boost your company’s growth. NuSpark Marketing Founder, Chief Lead Generation Strategist and Online Media Director An experienced B2B and B2C marketer, Paul has been helping clients generate leads and grow their businesses for over 25 years. Paul helps plan and optimize marketing and lead generation programs.